We have special offers available on tickets for Guys and Dolls. 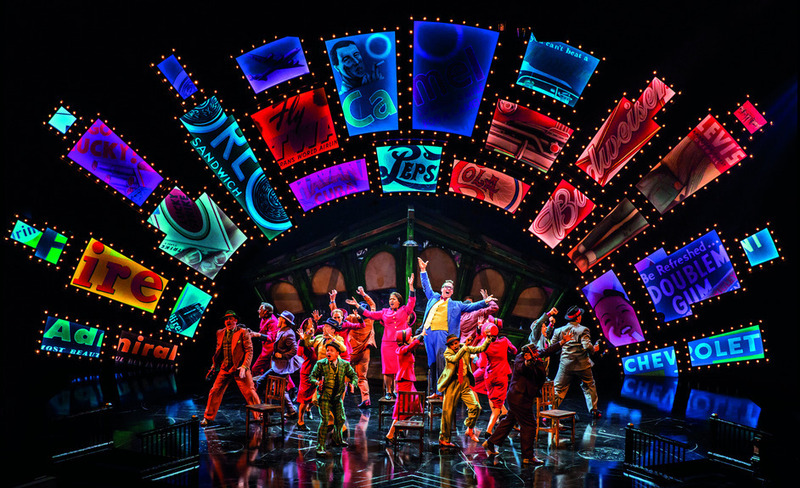 Chichester Festival Theatre's production of Guys and Dolls, a big hit at the Chichester Festival 2014, is a toe-tapping musical about two gamblers, Sky Masterson and Nathan Detroit - portrayed by Oliver Tompsett and Richard Kind - who wager on matters of the heart. Based on a story and characters by Damon Runyon, with music and lyrics by Frank Loesser, the revival is directed by Gordon Greenberg, with choreography by Carlos Acosta and Peter McKintosh doing the set design. The show follows Nathan Detroit who needs money for an illegal dice game, and he needs it fast. But can he win a bet with notorious gambler Sky Masterson when straight-laced Sarah Brown is involved? What are the best dining options near Guys and Dolls London? Guys and Dolls gyms, sporting activities, health & beauty and fitness. The best pubs near London Guys and Dolls. Guys and Dolls clubs, bars, cabaret nights, casinos and interesting nightlife. Where to have your meeting, conference, exhibition, private dining or training course near Guys and Dolls. From cheap budget accommodation to luxury 5 star hotels see our deals for Phoenix Theatre hotels, including The Nadler Soho Hotel from 82% off.